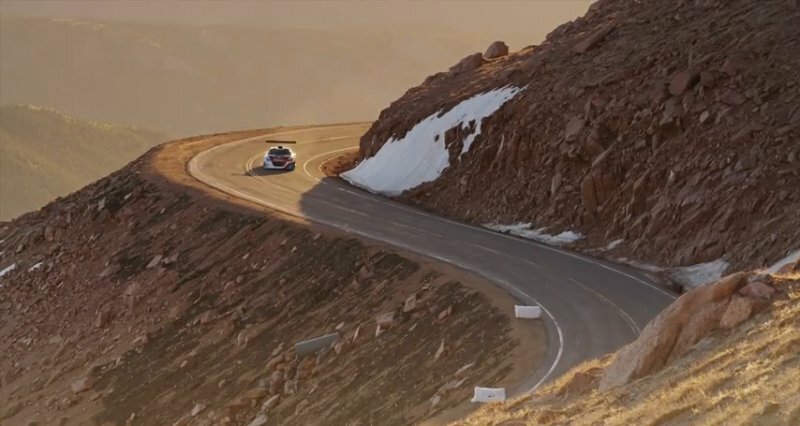 This years Pikes Peak Hill Climb event will be held on the 30th of June and Peugeot are letting Sébastien Loeb loose behind the wheel of their Redbull sponsored Peugeot 208 T16 racecar. Peugeot have released this exciting video to mark their first return to the Peaks Pike event in 14 years. The video features background to Peugeot's return to the event as well as Loeb putting Peugeot's modified 208 T16 to the test with an impressive 875-horsepower (652 kilowatts) rear mounted twin-turbo V6 engine. Update: Loeb set the all time new record of 8:13.878, beating the previous record by 1:55min.